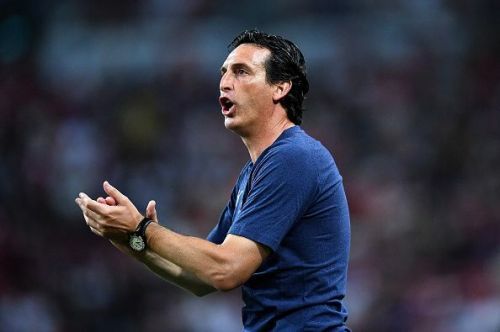 Premier League 2018-19: Can Unai Emery stabilize the Arsenal ship? Back after a year-long hiatus brought about by added burdens at my day job, I watched the train wreck in slow motion that was Arsene Wenger’s last season at Arsenal. There is a saying in boxing, that if you hang around the ring too long, you begin to embarrass yourself. Thus it was, with Wenger saying the same things, doing the same things, somehow expecting a better result. At least, Arsenal arranged a dignified parting for a man who we will look back upon with much more love and respect than he is garnering at the moment. On a side note, it was especially gratifying for me to have Bob Wilson lead the final tribute to Wenger. As a thirteen-year-old goalkeeper, I happened to pick up Wilson’s book on goalkeeping. My goalkeeping career ended at 15, when my folks decided I needed to focus on academics, but a lifelong love affair with Arsenal had already been cemented. On a side note to a side note, on his last visit, my late father revealed to me he was an Arsenal fan too. His connection – his favorite cricketer, Denis Compton, played for Arsenal. That was a tidbit I had not been aware of. That was a circuitous route to get to the topic for today, the Unai Emery era. I will confess Emery was not on my shortlist for the position. The most coveted name was Diego Simeone (dream on), Massimo Allegri, Antonio Conte (once Chelsea dumped him, as seemed inevitable even as Wenger stepped down); perhaps Laurent Blanc, or Carlo Ancelotti as caretaker manager. The recurrent theme in all my choices is a manager who believes everything starts with an impregnable defense. My first reaction to Unai Emery was, “Oh no, here we go again”. My only memory of Emery was that he had presided over that shambolic 6-1 loss of PSG to Barcelona, snatching defeat from the jaws of a seemingly inevitable victory. However, I was mollified, even pleasantly surprised, when his first signings were all defensive – Sokratis (I won’t even try to spell his last name), Lucas Torreira (said to be the next best thing since N'Golo Kante), Bernd Leno (to replace an aging Petr Cech), Stephan Lichtsteiner (aging, but he still has it), and Matteo Geundouzi (Granit who?). Does the roster look “perfect”? More on that later. Knowing so little about a man who one hopes will have as long and successful an innings as his predecessor, I turned to the fountain of all knowledge, Wiki. It hit me that Emery had managed the Sevilla team that was one of my favorites to watch. He had also shown the ability to reload each year, as his best players were snapped up by the bigger clubs – something every Arsenal manager needs to be able to do. Every team he had managed, he had either worked a miracle, or at least driven from the erratic to the consistently successful. Okay, maybe he isn’t such a bad choice. The proof of the pudding is in the eating. I got my first taste of Unai Emery’s Arsenal in a couple of ICC games, against a second-string PSG, and an almost full-strength Chelsea. There is a change in the style of play. It is no longer possession for possessions’ sake, a.k.a. tiki-taka, but a return to the forward moving tight triangles that were characteristic of Emery’s Sevilla, not to mention Wenger’s Arsenal till around 2008. We will be creating more chances, and with Pierre-Emerick Aubemayang up front, there should be more goals. Alexandre Lacazette also seems to have shaken off the doubts of last season and is putting more shots on the frame again. There are still question marks around others in the attacking formation. With Danny Welbeck on the trading block, there is no big man in the middle to play long ball. In the attacking midfield, Mesut Ozil seemed energized in the PSG game, but faded in and out against Chelsea – still way better than I have ever seen him play for the Gunners. The big disappointment has been Henrikh Mkhitaryan, save for an odd flash of brilliance. Alex Iwobi has been going at the defence more like he did when his first appearances for Arsenal showed so much promise. He still needs to regain confidence in his shot. Though Torreira and Lichtsteiner were absent, the defence looked better than it did last season. Sokratis is slow, but reads the game well. Shkodran Mustafi is still shaky, but is rumored to be on the way out. With Laurent Koscielny injured, and aging, there is the question of who will partner Sokratis. Neither Calum Chambers nor Rob Holding has looked the bit. Konstantinos Mavropanos, perhaps, could be the answer. But he seems way down Emery’s pecking order. Since Emery has not made any move for a left fullback, one assumes rumors of Nacho Monreal’s departure are greatly exaggerated. One glaring weakness in the Arsenal defence is the lack of speed in central defence. Watching Chelsea’s Callum Nelson-Odoi repeatedly tearing behind the defensive line, Emery has to stop playing ostrich and get some speed in that back line. The biggest revelation for me has been Matteo Guendouzi. He is said to be only twenty, but he has barely put a foot wrong through the two games I watched him play. He doesn’t quite have the bulk of a Patrick Vieira, but he is a true box-to-box midfielder. I saw him make several tackles, demand the ball out of the back, get out of tight situations, and thread through some beautiful passes that broke defenses. This is how Granit Xhaka would like to play when he grows up. The added benefit is that unlike Xhaka he is not a hallmark player, he won’t receive cards on a regular basis. The big question is whether Emery will have the courage to hand the reins of the team to a 20-year-old. The best bit of business Emery could do is to fund a quality central defender with speed by selling Xhaka, albeit at a financial loss. Emery faces a difficult task. The most realistic goal for Arsenal is to challenge for a Champions League spot. Of the six teams in contention, Chelsea may be the one in biggest turmoil, with a new manager, and with the potential loss of Thibaut Courtois, and Eden Hazard. Will Manchester United be driven to self-destruction, as is typical of Jose Mourinho’s third season with any club? Manchester City have spent so much, anything but winning it all would be a failure. Uncharacteristically, but laudably, Liverpool seem to be going all in. Emery must get some speed in central defence, and perhaps hang on to Welbeck. Ramsey seems to be on the way out, which should free up the money he needs. Though it chafes to say it, we are now the second-best team in North London. Emery can start by righting the ship at home. What Can Arsenal Fans Expect From Unai Emery?